Come out and mingle with the neighbours and try to forget that summer is almost over. There will be fun for the kids and open swim afterwards. Hamburgers, veggie burgers, hot dogs and drinks will be provided. Come for crafts and pizza! If you can spare a bit of time, we could use a hand with weeding inside and outside the Tennis courts and around the pool. A few of us have made some progress but it would be great to get it all done. 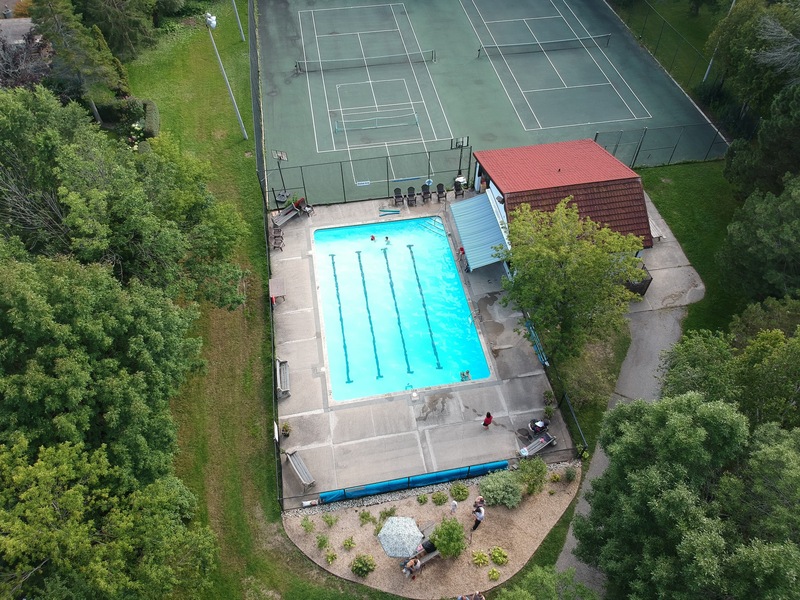 Come out and mingle with the neighbors and meet our pool staff. Why: because we want our community to look great! 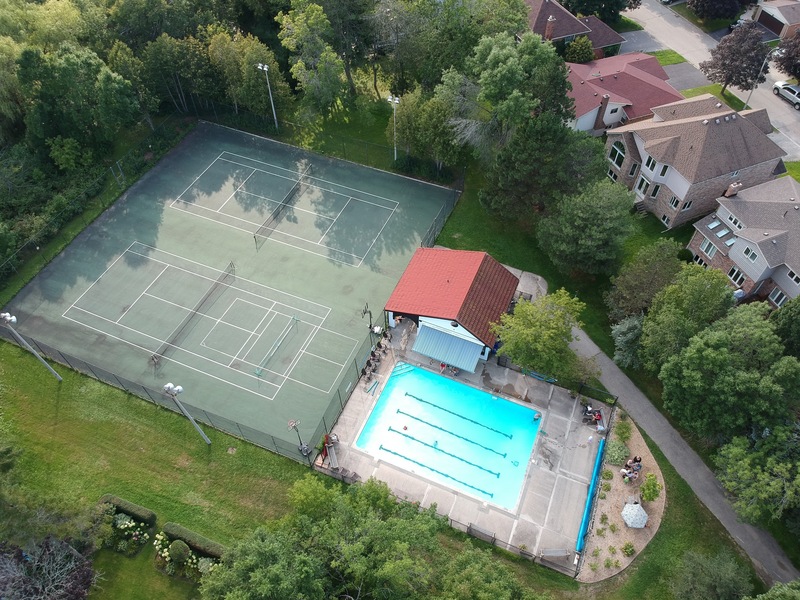 Below are a couple aerial shots of the association’s property that were taken last summer.